Christiansburg will host an open house for the new sewer treatment plant on Sunday afternoon. The nearly finished project will bring a centralized sewage system to the village. Pictured is the sewer plant at 5526 Addison New Carlisle Road. 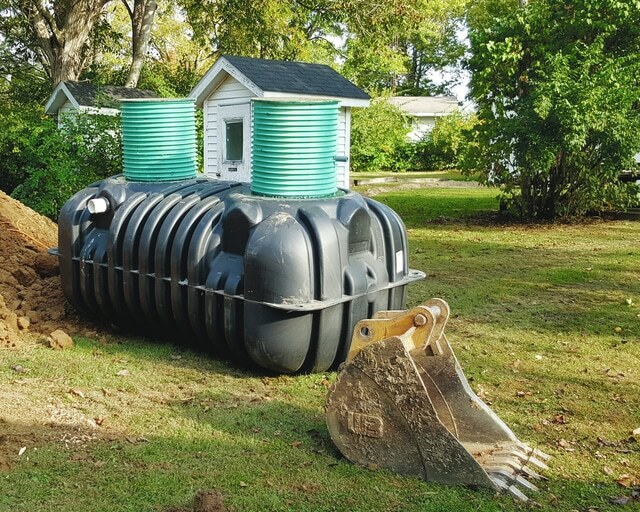 As part of Christianburg’s new sewer treatment project, new septic tanks were installed in every resident’s yard. Pictured is one of the last septic tanks that needed to be installed in the village. Christiansburg will host an open house for their new sewer treatment plant on Sunday afternoon. The nearly finished project will bring a centralized sewage system to the village. 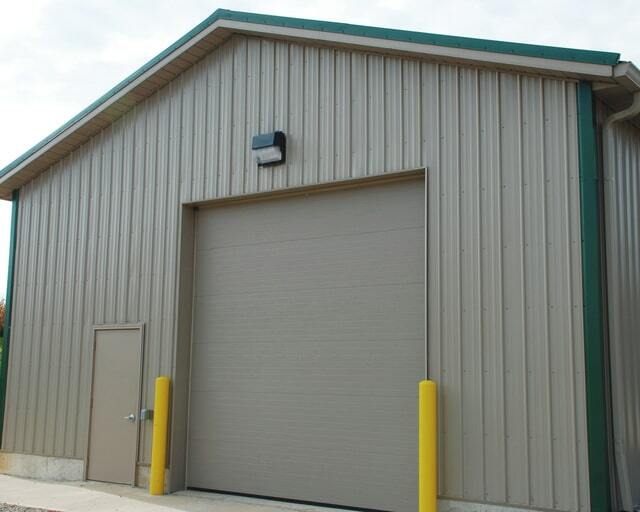 Pictured is the rear of the sewer plant at 5526 Addison New Carlisle Road. 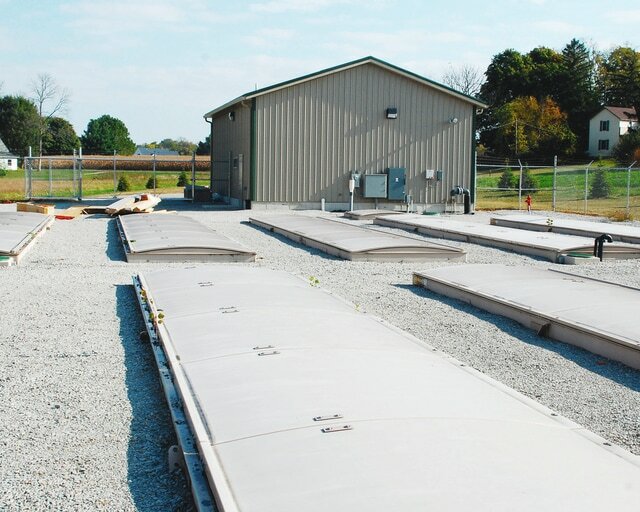 CHRISTIANSBURG – Village residents will be able to see Christiansburg’s new sewer treatment plant Sunday during an open house event. The event will take place at the plant, 5526 Addison New Carlisle Road, between 1 and 4 p.m. and residents will have an opportunity to speak with project engineers about the system. Village council member Charles Lyons said the village’s attempt to have a centralized sewage system started more than 30 years ago when Christiansburg started a similar project. This project was abandoned and left the village in a fiscal emergency. In the years that followed, Lyons said a lack of financing was a factor in holding up the development of a project. The new project was sparked following findings from a state government agency. A few years ago, the Ohio Environmental Protection Agency (EPA) was performing tests at west fork of Honey Creek. Test results found a high-level of bacteria in the creek leading to the need for a sewage system. After years of development, Lyons said the project is expected to be completed this month. “The plant is complete, the lines are in and it’s just a matter of finishing up the hookups and I think there are probably less than 10 homes to be hooked up,” Lyons said Thursday. Prior to the new project, village residents would have a septic tank and leach field. Lyons said normally sewage is put in a pipe which travels to a treatment plant. With the new system, each home still has a septic tank and the liquid is pumped off and sent to the treatment plant. 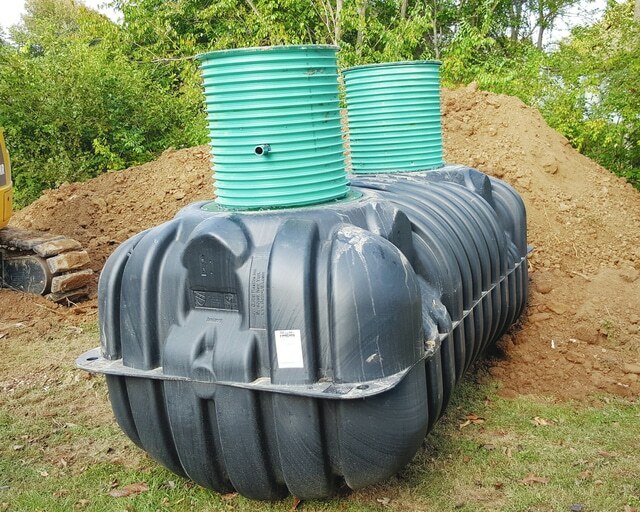 During the project’s development, a new septic tank had to be installed in every resident’s yard in addition to a control panel that was placed on every residence. As the tanks were put in resident’s yards, the house would become part of the system. Lyons said these items were installed at no additional cost to residents initially before residents started to be billed for sewer services at $30 per month. This price increased in September to $60 per month. The project was initially expected to cost $4.7 million and Lyons estimated the final cost will be between $4.5 and $5 million. Funding for the project has been supported through grants in the amounts and loans. Summarizing village resident’s opinion on the project, Lyons said the reaction has been wide ranging. He said more people wanted to move forward with the project than the village expected but some residents were not in favor of the project. Lyons said Sunday’s event will be an opportunity for residents to see what they are paying for.